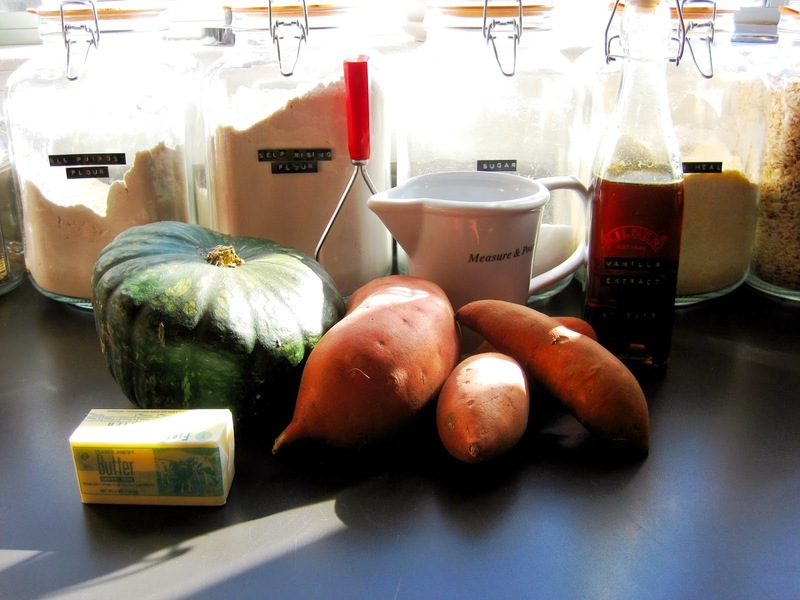 Sweet potatoes…its a simple root vegetable that graces the table every Thanksgiving. Sometimes they are roasted, sometimes they are covered in marshmallow…but they are always there, to basically give us an excuse to eat something that tastes like dessert as a dinner side. 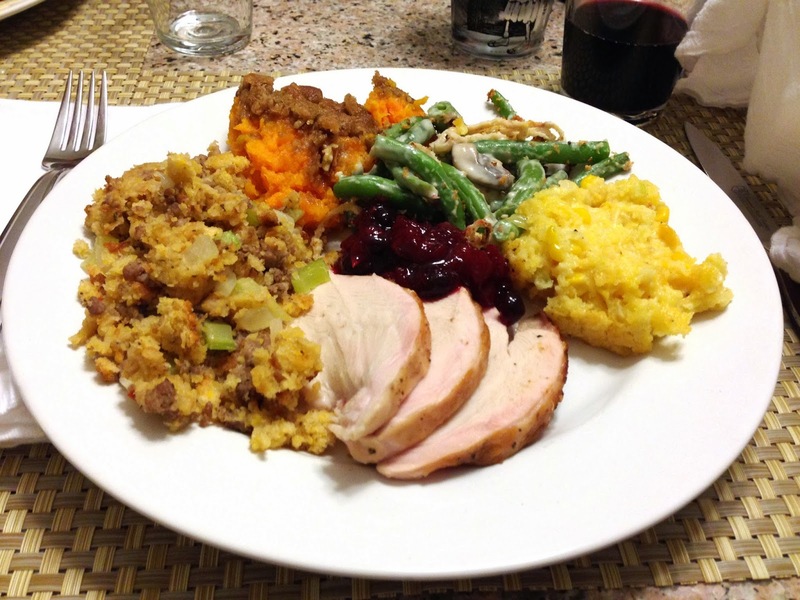 I was tasked with the goal of finding a new sweet potato dish to bring to the table this Testgiving. I turned to the Pioneer Woman for inspiration and left her site with the recipe for her “Soul Sweet ‘Taters”. 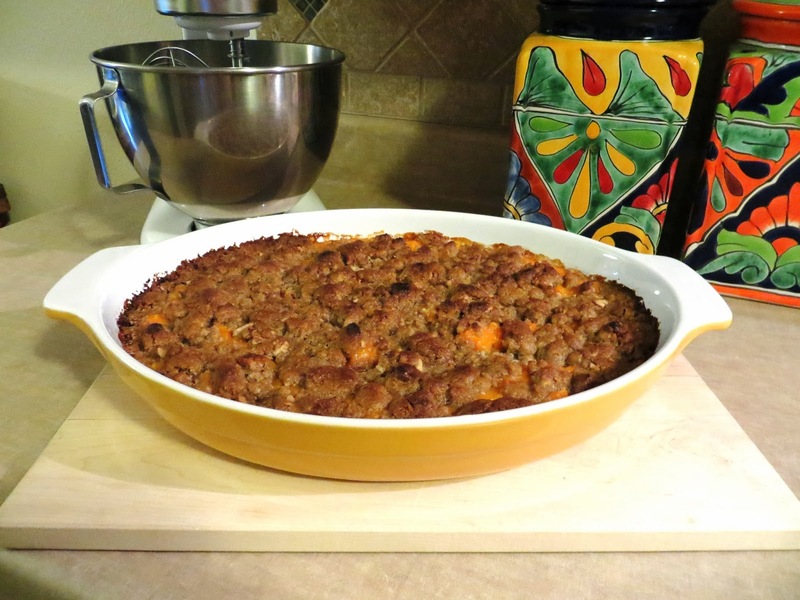 It was full of butter and sugar and sweet potatoes with a streusel topping …it sounded perfect. A few days after I had decided what I wanted to make I came into possession of a couple of buttercup squash. I have never been one to process a squash…but after reading up on this particular squash, I had to give it a shot and include it in my casserole. It is a smooth squash, with a sweet earthy taste, similar to a sweet potato, but not as sweet. It seemed that once roasted it would be perfect to substitute half of the sweet potatoes with one of these green striped beauties. I roasted the Buttercup squash in the morning. Wash the squash really well. Split it in half, cleaning the seeds and the stringy insides. Place the cut side down on a sheet pan and roast in the oven at 350 deg, pouring about a cup of water in the pan to help the cooking process. Roast for about 45 min. to an hour…its done when a fork pierces the skin easily. Use a spoon to scoop the flesh away from the rind, set aside until you are ready to make the dish below. Add 1 cup of (regular granulated) sugar, 1 cup of milk, 2 eggs, 1 teaspoon of vanilla extract and 1 teaspoon of salt. With a potato masher, mash them up just enough—you don’t want it to be perfectly smooth. The buttercup was able to add another level of flavor to this dish, a little less sweet…a little more nutty…a lot of delish. I am so happy that I have another buttercup that will be used for the Thanksgiving table in this dish.